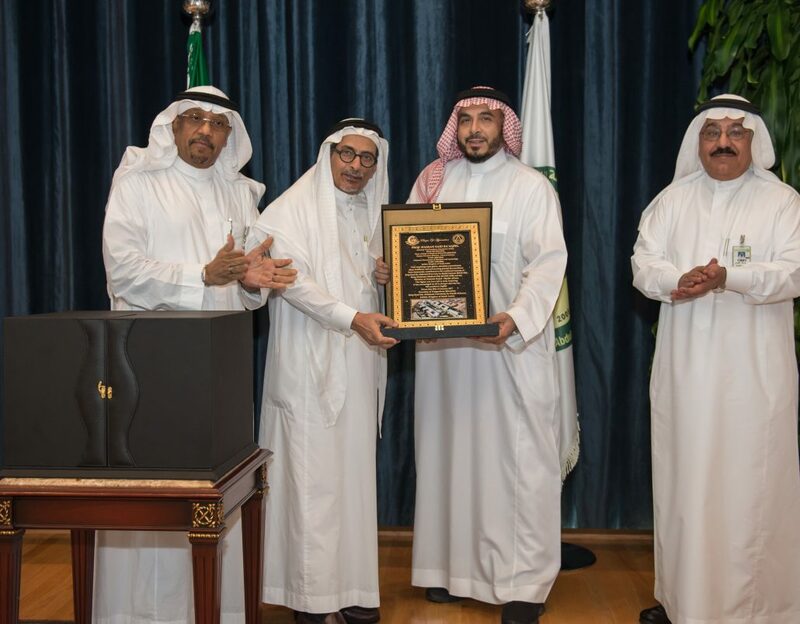 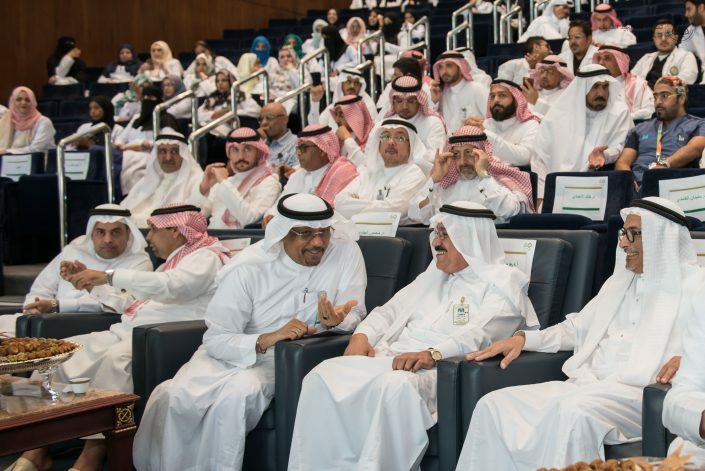 College of Medicine in Jeddah has organized a ceremony of loyalty and gratitude to His Excellency Professor Hasan Baaqeel, Dean of College of Medicine on his retirement. 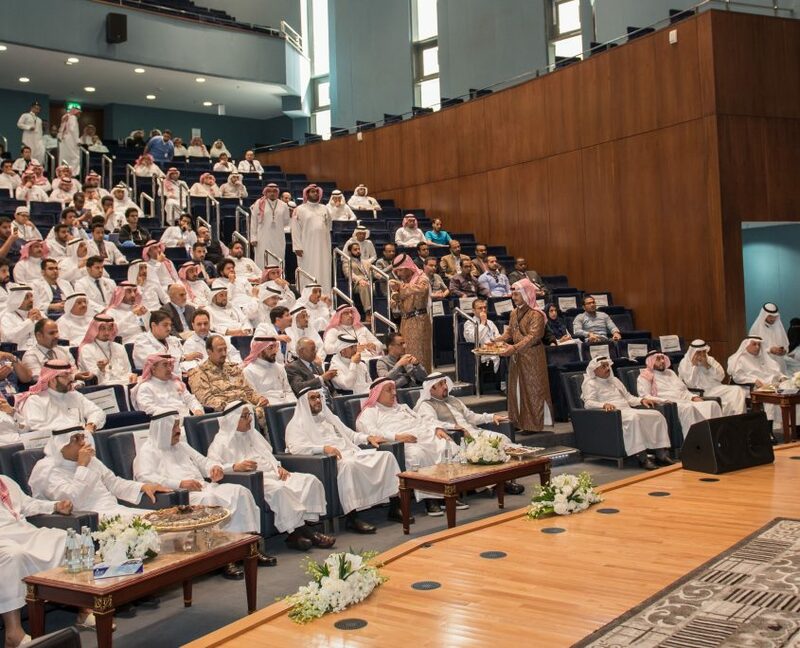 The ceremony took place at the grand conference hall in the university Campus in Jeddah with the presence of Professor Yousef Al Essa, Vice President for Academic Affairs, Brigadier Engineer Khalid Bakulka, Executive director to run western sector, Dr. Mansour Al Jundi, Executive Director of Medical Services and health affairs of the National Guard, and Dr. Essam Elzimaity, Deputy Executive Director of Medical Services in Western Region sector. 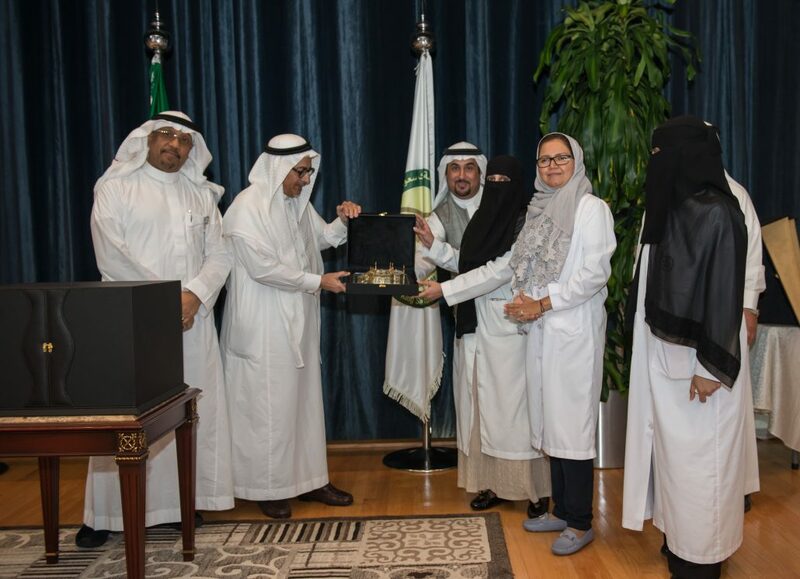 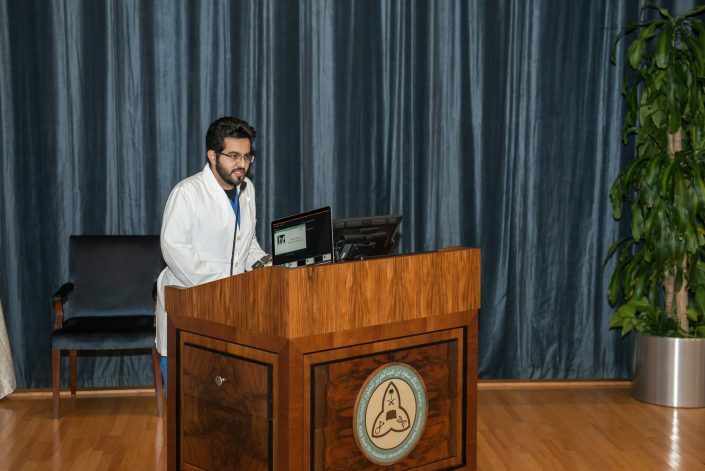 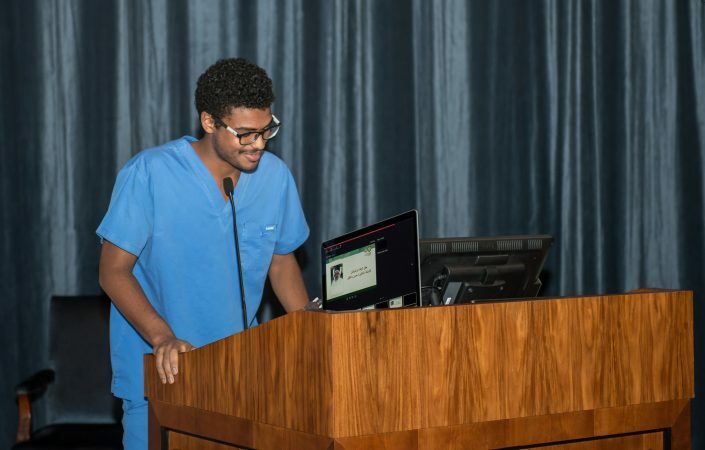 In addition, the ceremony was attended by a large gathering of deans, associate deans, physicians, staff and students, who expressed their sincere thanks and gratitude to Professor Baaqeel. The ceremony began with verses of the Holy Quran read by student – Fayez AlHumairi. 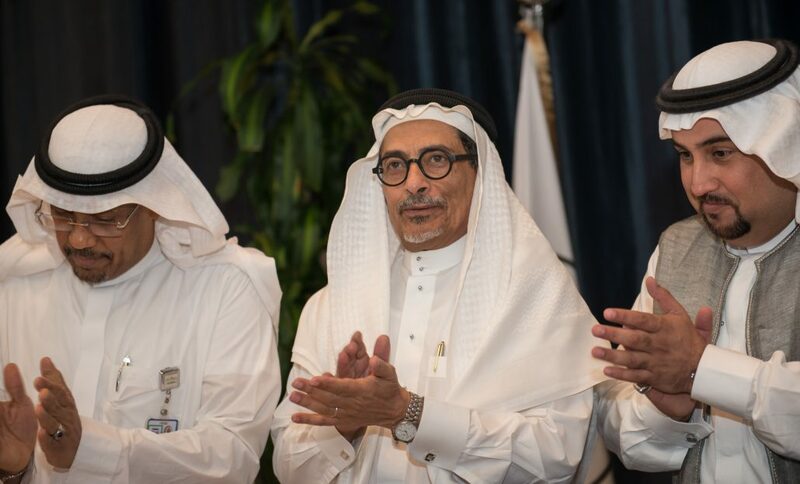 After that, they stood up as one and sang the national anthem. 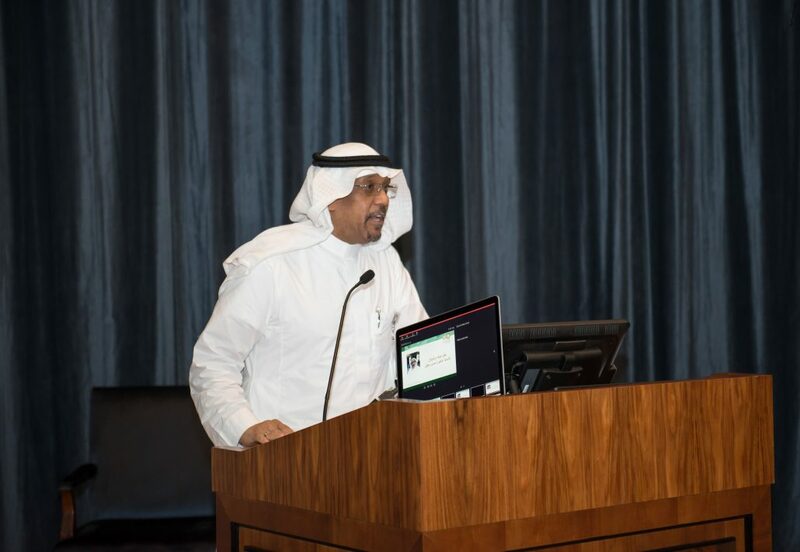 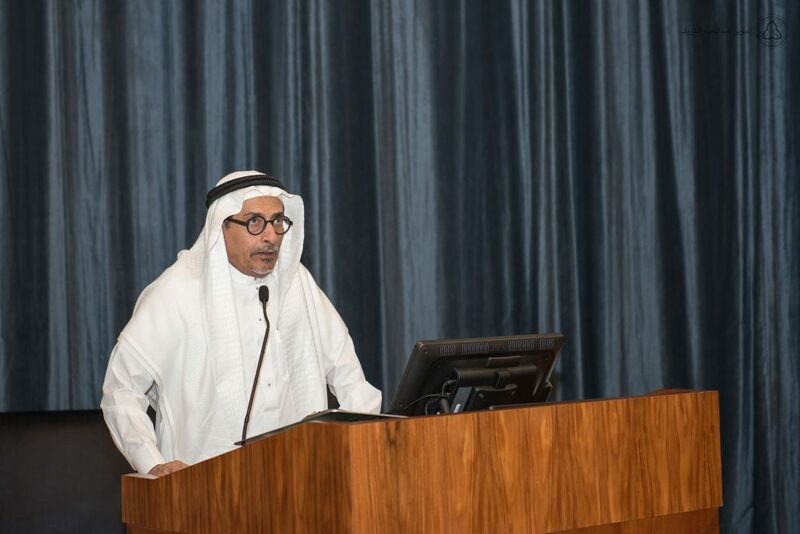 In addition, Dr. Mansour Al Qurashi gave a speech, in which he thanked Prof. Baaqeel for his tireless efforts in establishing COM-Jeddah and his successful accomplishment in elevating the university and its outputs. After that, a video has been displayed to define stages that preceded the establishment of the College of Medicine- Jeddah by Prof. Baaqeel. 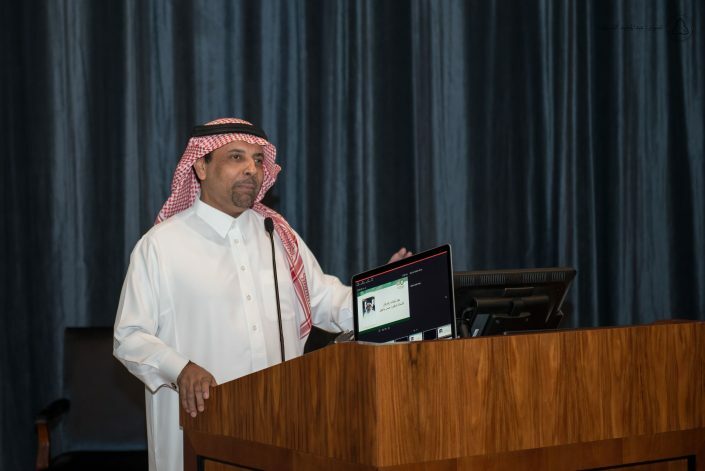 Then, a documentary film was presented about his career that included academic upbringing. Finally, Prof. Hasan Baaqeel gave a speech in which he thanked all participants in the ceremony. 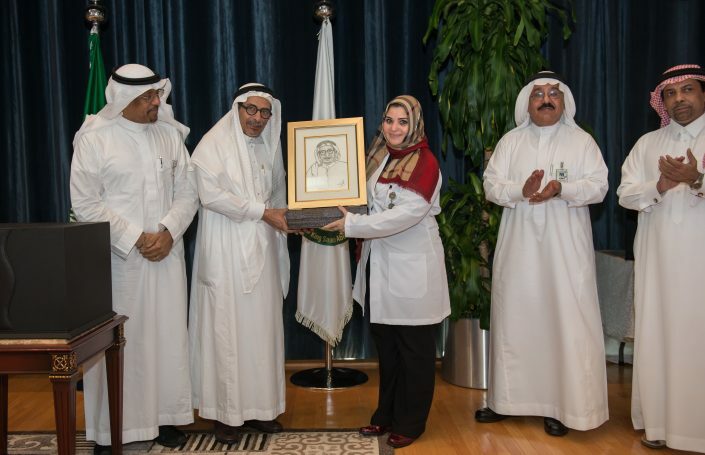 In conclusion, Memorial plaque and gifts were delivered and photos have been taken.